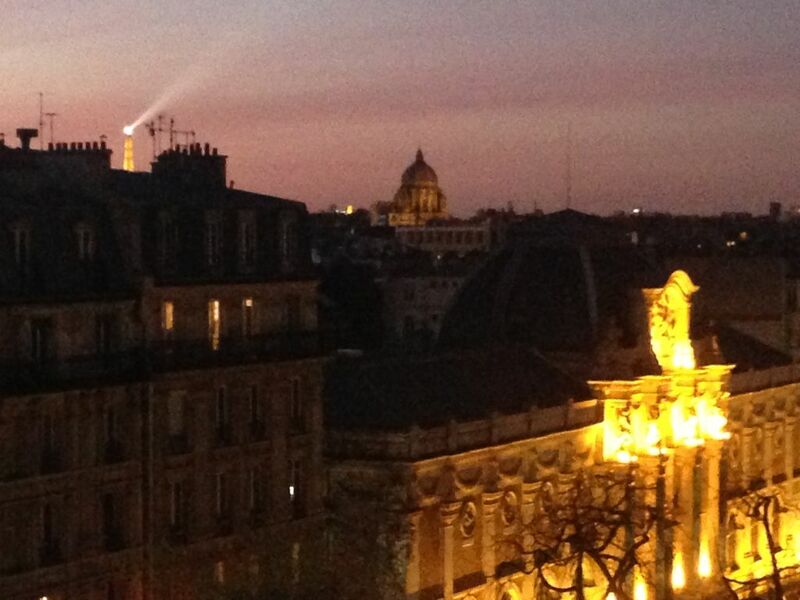 Welcome to this beautiful 2 rooms renovated and friendly, offering beautiful views of Paris! Stay in the heart of an authentic neighborhood, between the Latin Quarter, Mouffetard and Butte aux Cailles village. A scenic experience in a movie set and a vibrant atmosphere. access from train stations and airports is quick and easy: welcome home! Easy access from airports and railway stations. Welcome! You can, among others, enjoy a nice bath. Good sized apartment located about 5 minutes walk from Place D'italie and metro lines 5 and 6 with line 7 only 2 minutes away. A 10-15 minute trip by metro will take to you to the center of Paris. Excellent location with bistros, shops, cinemas on the doorstep. The apartment has everything needed for a pleasant stay. I found the owners Guillaume & Ricardo most helpful and would certainly recommend the apartment for along or short stay. We spent ten nights in this well equipped apartment. It is unusually large, light and quiet, by Paris standards. It is Guillaume and Ricardo's residence when not rented. Their personal belongings are tucked away out of sight, and they generously share their condiments, kitchen and bathroom supplies such as paper towels, toilet paper and laundry detergent. Often one must purchase items such as these when renting in Paris. The location is south of the usual tourist areas but easily within their reach by a short bus or metro ride. We loved the neighborhood feel of the area and felt like true Parisians for ten days! Guillaume's apartment was extremely comfortable and well-euipped. The bed was also very comfortable - always a bonus. It's on the 6th floor of an apartment building with a lift - another essential for those travelling with lots of luggage. I loved staying in the Latin Quarter. The apartment was a few steps from the Metro and a few more to Place d'Italie, plus the bus stopped right outside the door. We actually did a lot of walking but the transit options were fantastic. It took us about 25 minutes to walk to Notre Dame but via very interesting sights along the way - the Pantheon, the Jardin du Plantes, Sourbonne, Mouffetarde Street and Market, etc. This apartment was in a wonderful location. Two metro stations within a few blocks from which we were able to navigate wherever we wanted. We walked several times from the Latin Quarter to the apartment because we wanted to (about a 45 minute walk). The apartment itself was very roomy by Paris standards. We loved the big screen t.v. and the kitchen was well equipped. Views of the street from several windows. Comfortable bed. A butcher on the street below sells roasted chickens and various other precooked items as well as items to be cooked (we bought dinner to take home a few nights), two great bakeries within a few feet, two supermarkets nearby. Definitely would recommend. Guillaume was a great host. The apartment is in a great location close to bus's and the metro that will take you straight downtown. We just walked done Ave des Golbins to Notre Dame. There are lots of good restaurants right on the street at the apartment and grocery stores within a few blocks. We will come back for another visit. *Kitchen stocked with necessities so you don't have to purchase salt, oil, laundry detergent. Guillaume's home is now our favorite place to stay in Paris, and we hope to return in 2017! We will recommend him to our friends!